New single 'Stay Disappointed' out soon. Two Cartoons have not posted to Facebook for 46 days, which has lead to speculation that they may have ceased to exist, or whether they ever existed at all. 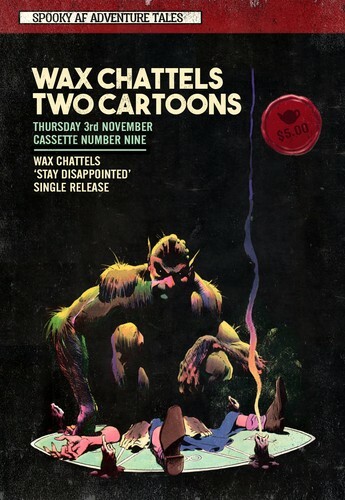 Two Cartoons have in fact given up on existing, and have chosen instead to write songs and occasionally perform them live. Come to the show, to be seen at the show, to talk about the show after the show, and let our rock pop hooks soundtrack your existence. With DJ Marjorie Sinclair from midnight.